With perfect weather conditions, the 41st edition of the Manchester Invitational produced some very fast early season times. 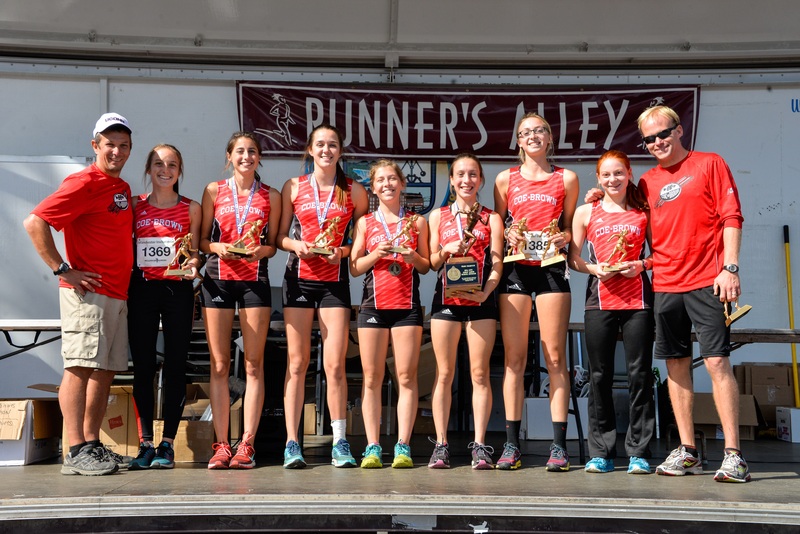 Granite Staters fared quite well as the host state by sweeping the varsity individual titles as well as girls’ varsity team titles. If today was any indicator of things to come, cross country is strong in our state. Also, with the elimination of the Elite races, the fields were full, similar to New Englands, providing valuable big race experience! 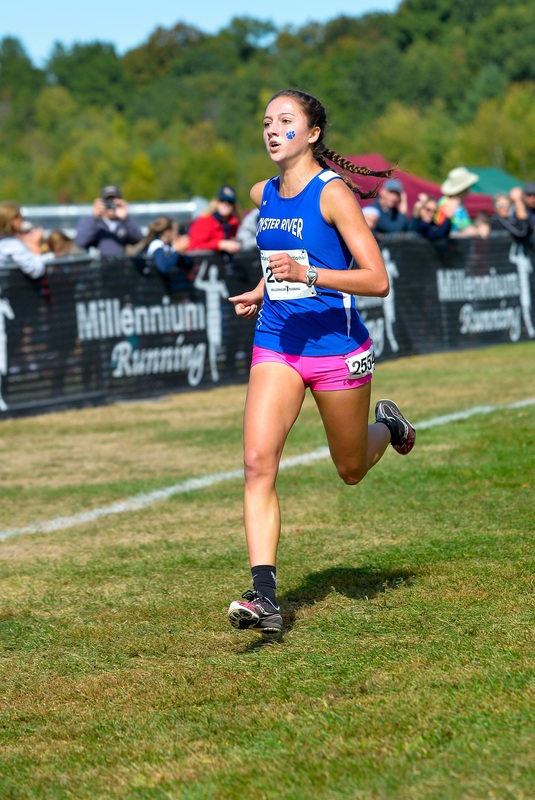 The top story of the day was Oyster River’s Maegan Doody’s blazing 17:41! She broke the MEET RECORD, which was set by Erin Sullivan almost 20 years ago, by 1 second! She may not “just qualify” for Nike Cross Nationals this year! The second top story of the day was Hanover’s return to the throne, so-to-speak. The Marauders have been a dominant power in NH for the past 2 decades, but have struggled the last couple years. Today marked their return to the top of the podium. With a strong top 4, they edged 2nd place Greely (ME) by 15 points. Inter-Lakes Cam Daly executed a stellar last 1k to take this one in 15:52. 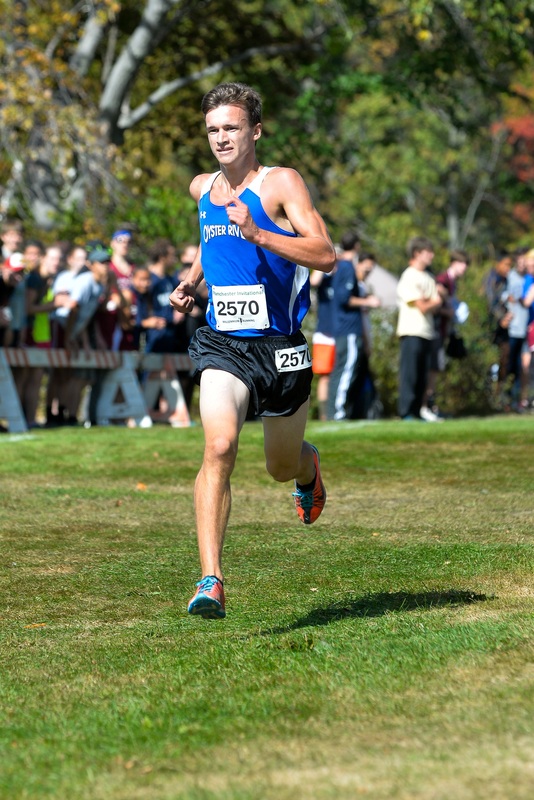 Hopkinton’s Dom Repucci placed a strong 3rd in 16:16. Harwood (VT) took the team title as out-of-state teams took the top 3 spots. 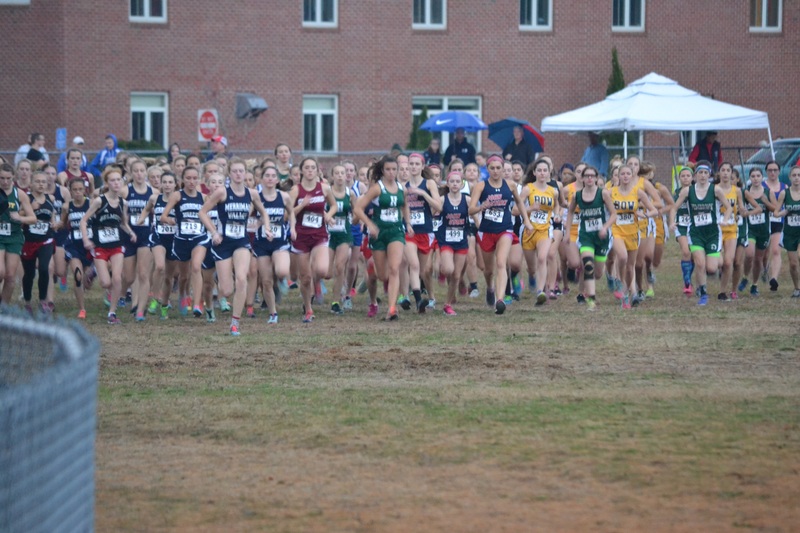 Hopkinton placed 4th and Bishop Guertin placed 5th, the only NH teams in the top 10. Coe-Brown placed 5 in the top 20 to take the title for the 3rd consecutive year. 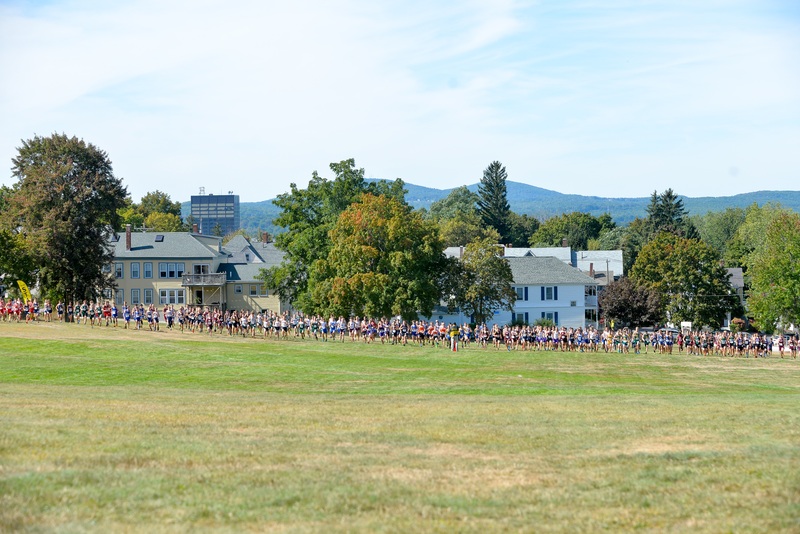 Elisabeth Danis (Coe-Brown) hammered the hills of the 2nd mile to take control of the race and eventually win in 18:19. 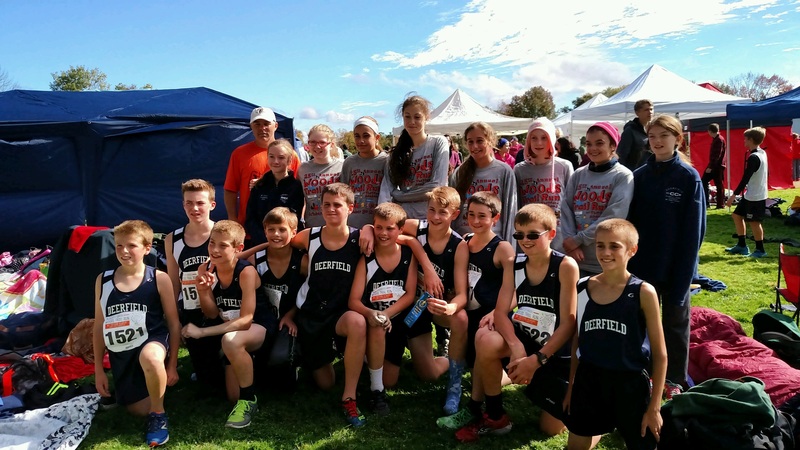 In the team competition, NH schools were dominant taking 6 of the top 10 places. Souhegan were the runner-ups, with Pinkerton placing 4th and Merrimack taking 5th. Defending champion Pinkerton came up 12 points short to place second to perennial New England rival Bishop Hendricken (RI). They may have lost the battle, but Coach Mike Clark’s decision to hold out Tom Hanlon with a slightly sprained ankle, may have preserved their shot at New England glory come November. NH teams fared quite well, also taking 6 of the top 10 places with Londonderry and Coe-Brown joining the Astros in the top 5. Oyster River’s Patrick O’Brien took a page from Cam Daly’s book by waiting until the final section to take the lead from a gutsy Cameron Dickson of Londonderry. O’Brien smoothly rolled to the fastest time of the day in 15:49. 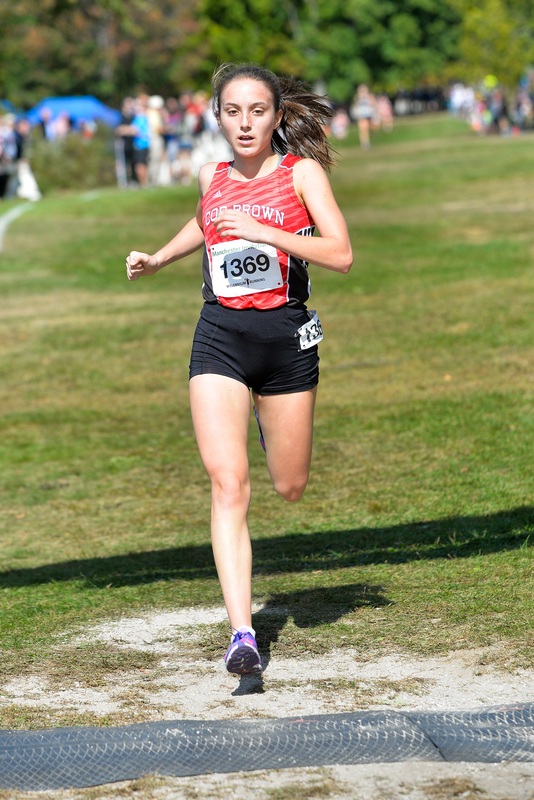 Champlain Valley (VT) easily won this one with Ella Whitman also taking the individual title in 20:50. Souhegan was the top NH Girls JV team for the 2nd consecutive year with a pack time of 23 seconds. 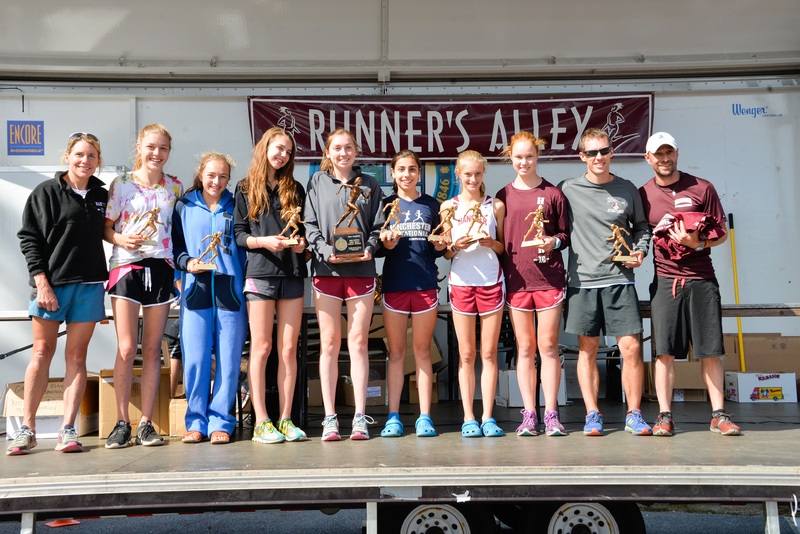 Top NH individual finishers were Eleanor McDonough and Meg Spainhower of Coe-Brown who placed 2nd and 3rd respectively. Bishop Hendricken dominated the race placing 6 in the top 20. 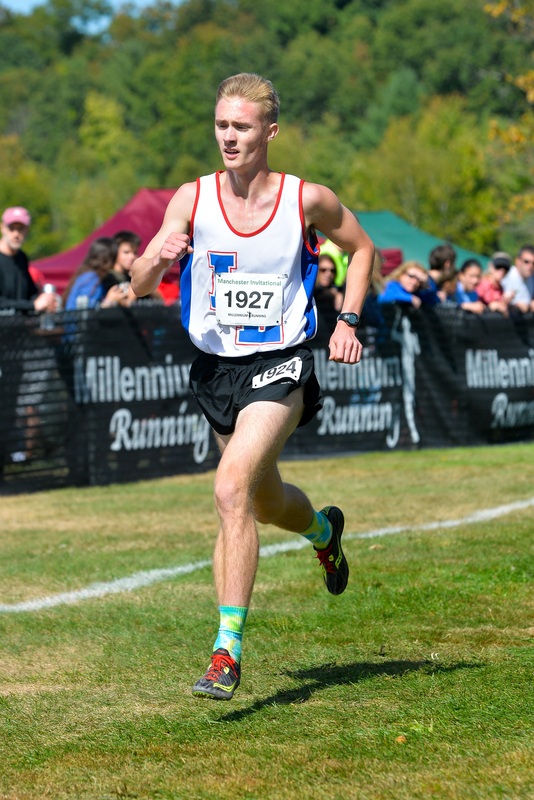 Pinkerton was the top NH team finisher, with PA’s Jonathan L’Abbe winning in a time of 16:55. Pinkerton’s Jordan Vaillancourt won in 12:43 with her teammate Ciara April placing 3rd in 13:05. Milton won the team competition with 52 points. Bishop Hendricken (RI) won the team title by only 14 points over Pinkerton. Concord’s Forest Mackenzie was NH’s top finisher placing 2nd in 11:28. Strong showing by NH teams. Great wins for Cam, Patrick, Danis and Doody. Dom and those boys from Hopkinton look to be emerging as one of the the favorites in D3. Next post 2015 Manchester Invitational RACE VIDEOS!! !